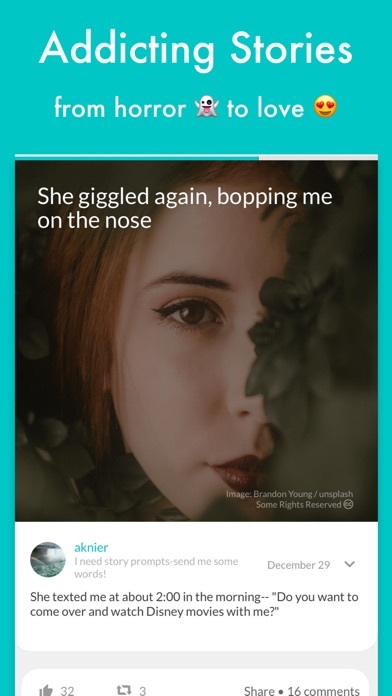 Commaful lets you read bite-sized romance, thrillers, horror, fanfiction, and poetry for FREE. No timers or forced payments! The stories are perfect for quick breaks or hours of enjoyment. 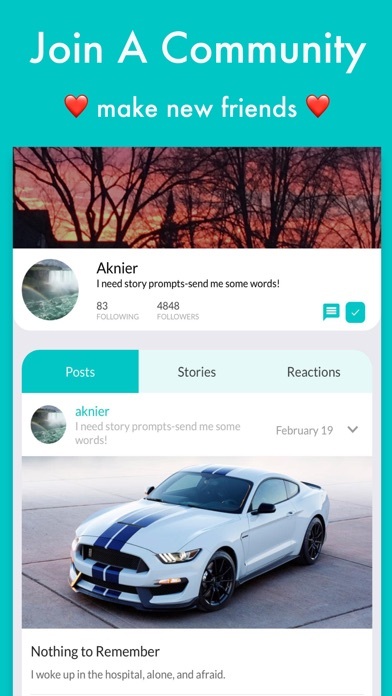 You can also write your own story and get tons of fans! Each Commaful story is told in a beautiful picture-book format that helps bring the stories, poetry, and ideas to life. 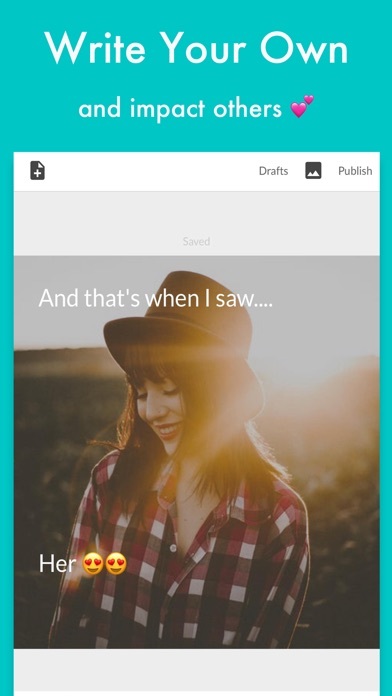 Commaful also lets you write your own stories directly from your iPhone. Share stories from your life, fantasies in your mind, or the novel you’ve never had the time to write. Commaful is home to many first-time writers as well as bestselling authors! 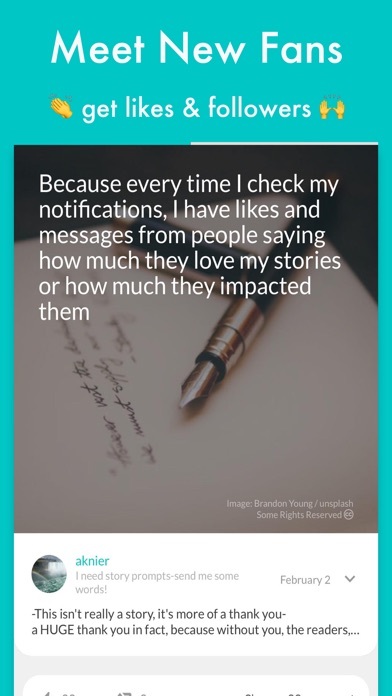 Try out our unique share format that makes sharing your Commaful stories onto sites like Twitter, Facebook, Instagram, and Tumblr that much more special. We love amazing stories, just like you. But it’s hard to find time to read in our busy schedules! Long stories can also drag on and on….. Commaful stories are short and written specifically for you! Both readers and non-readers alike can’t get enough of Commaful! Maybe you’re all over books like Hunger Games, Divergent, Twilight, and Harry Potter. Or if you're searching all day for random fan fics. Or maybe you haven’t touched a book since your last English class assignment. Commaful was designed for you! 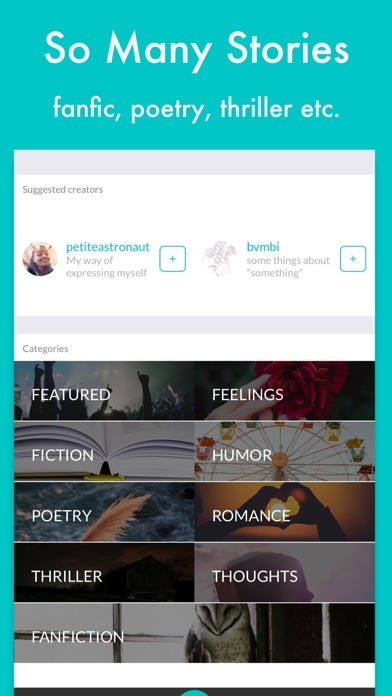 * Unlimited free access to a huge library of fiction, poetry, thoughts, feelings, and more! * Discover new writers, trending stories, and more. New stories added daily!